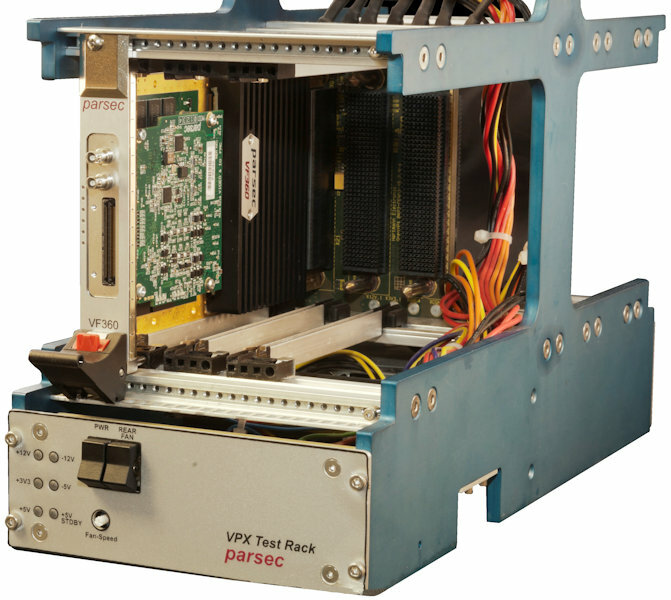 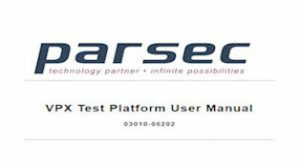 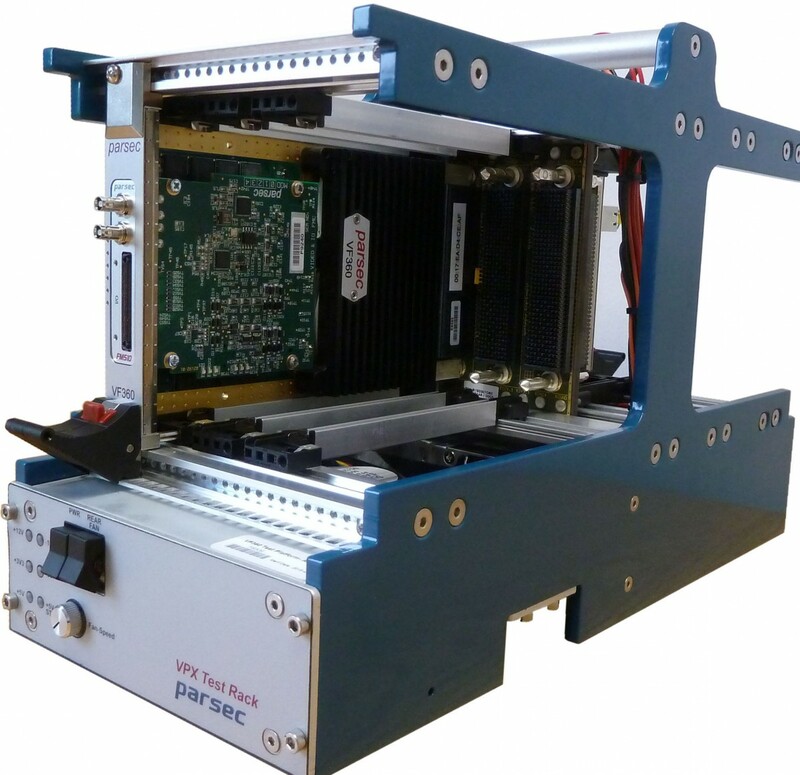 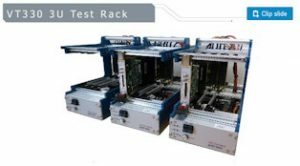 The VT-330 VPX-Test Platform is a 3U OpenVPX rack with a 3-slot backplane, power supply and fan. 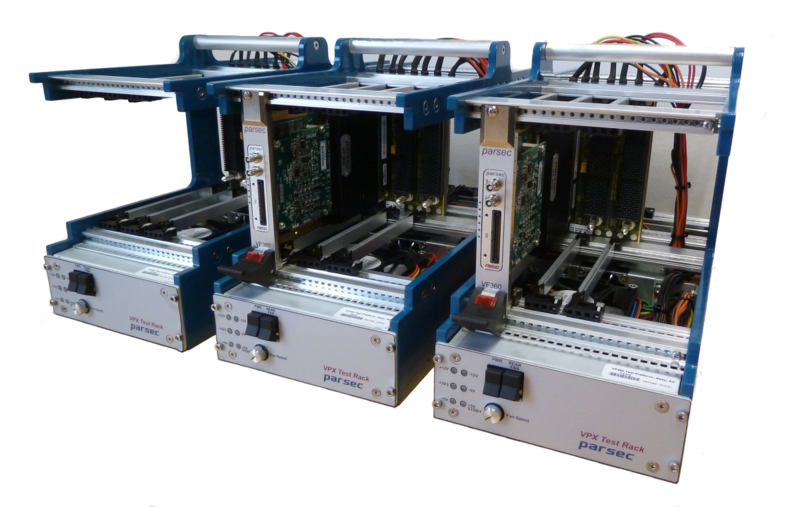 The open frame design of the rack makes it ideally suited for software, firmware and hardware development of 3U VPX modules. 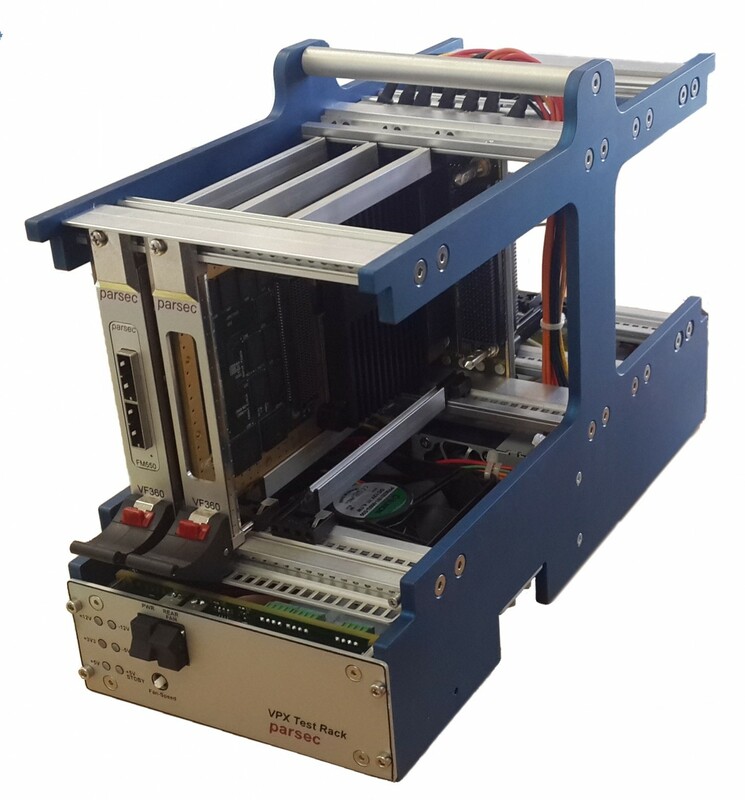 Its main purpose is to provide a development platform for the OpenVPX hardware like the VF360. 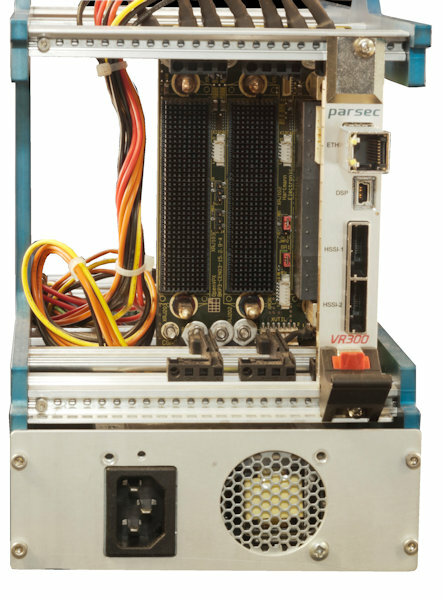 The 3-slot backplane has one payload slot and two peripheral slots with Fat Pipe (FP) connections between the payload slot and each peripheral slot. 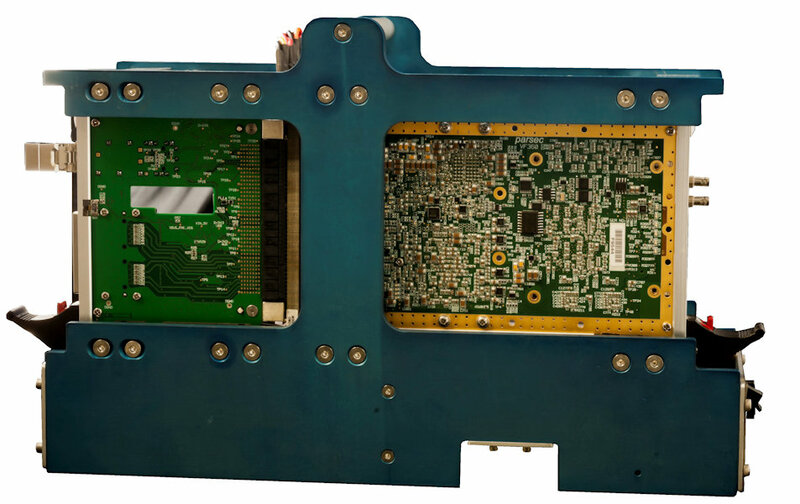 The VT-330 is available in both air-cooled and conduction cooled versions.